Even though Hyundai has said that the production version of the Santa Cruz will be much different than the original concept, some of the cabin designs may survive the transition. It is very similar to what we saw in the Santa Fe of the same year, so that could very well be the case for the 2020 model as well. This is what we saw back in 2015. If they are taking a radical departure from this concept, I hope that means less shared parts and designs between the SC and other Hyundai models. Originality can be a great thing for a new model, so long as practicality and utility have remained a focal point. I think with the new Ranger and Gladiator joining the segment, its for the best that Hyundai tries something unconventional for the SC. If they are doing something vastly different for the production model, they should take the opportunity to get consumer feedback with another look at the fresh design, prior to release. Looking at what they have done with the Palisade, I'm not too worried about a new design direction. I think its about time they stepped out of their comfort zone and I don't see a better model for them to get creative with. Completely agree and perhaps we will even get some styling cues come down from the Genesis brand. As cool as the Gladiator looks, FCA still has huge issues with build quality and its a big risk to buy into anything first gen from them imo. Palisade is out of the discussion. Santa Fe is what this pickup shares a name with which should hint to both models sharing design to some extent. On that note I love what i'm seeing in the new Santa Fe! The only thing I don't like is that tacked on infotainment screen. I think they could have done a much better job incorporating it into the dash. 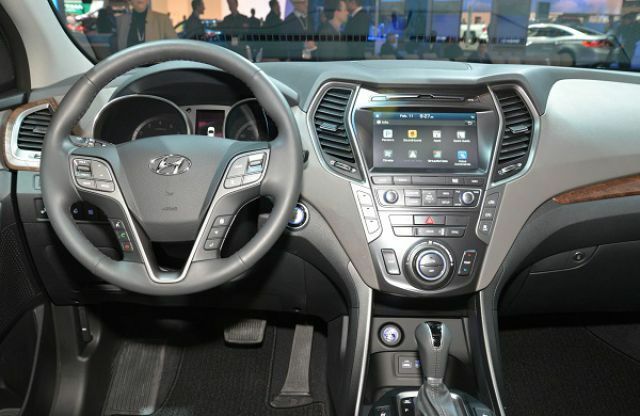 Hyundai has made some huge strides with their design language on newer vehicles, both inside and out. At least it has shortcut buttons rather than having to rely on touch screen controls for everything. Would imagine that the SC will also have apple car play and android auto compatibility as standard. It might have been done as a way to better structure their line up, so this way distinguishing one model from the other is that much greater. In Genesis products you don't see this at all, in fact the infotainment screen is in the dash. Split folding rear seats is something that the SC needs as well imo. Since the bed is looking much shorter than traditional pickups, this could be one way to maximize its utility.